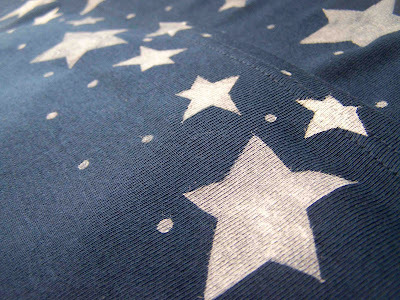 I've been in love with all of the stamped and painted fabrics that I've seen around blog-land lately. Isn't the idea of creating your own custom fabrics fun? I recently picked up four turtlenecks at Wal-mart for a dollar a piece. There was a woman there stocking the shelves, she told me "This is a great deal if you're into turtlenecks". Well, I'm not really into turtlenecks, but I am into inexpensive fabric. I've been wanting to make some more Sweet Pea Dresses, and I thought that these would be perfect. They did need a little dressing up though. 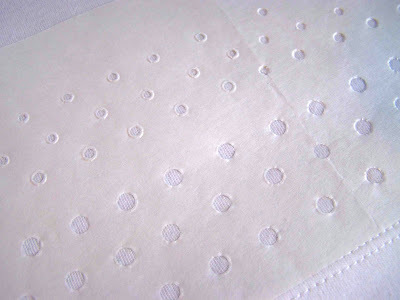 I didn't have all of the supplies on hand to create my own fabric stamps, but I did have some freezer paper handy. 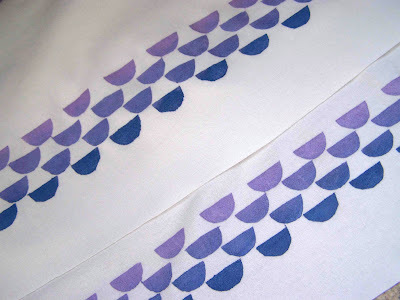 I decided that I could create a fun little print for the fabric border using my freezer paper and fabric paint. 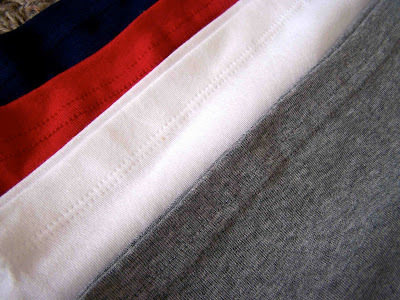 To start with, I cut a piece of freezer paper that was as long as my t-shirt was wide. 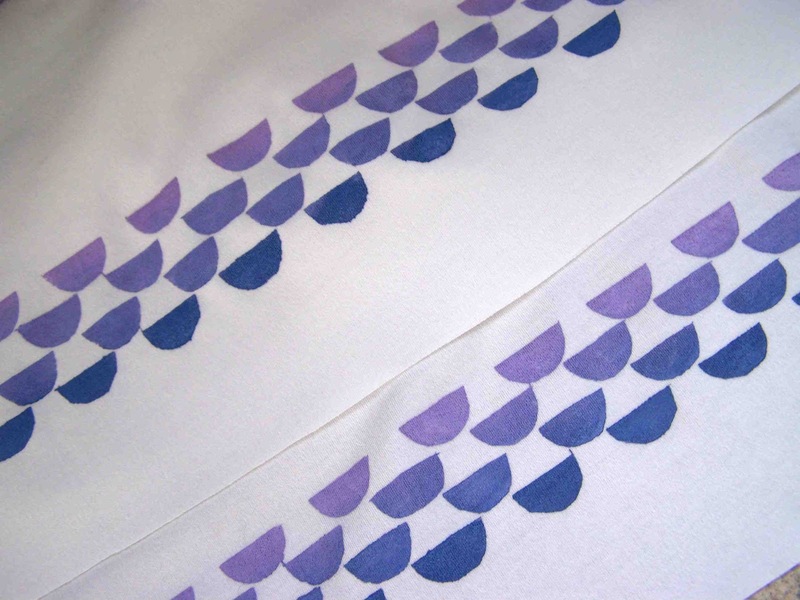 I needed to create two stencils, so I folded the freezer paper in half width wise (shiny sides together). 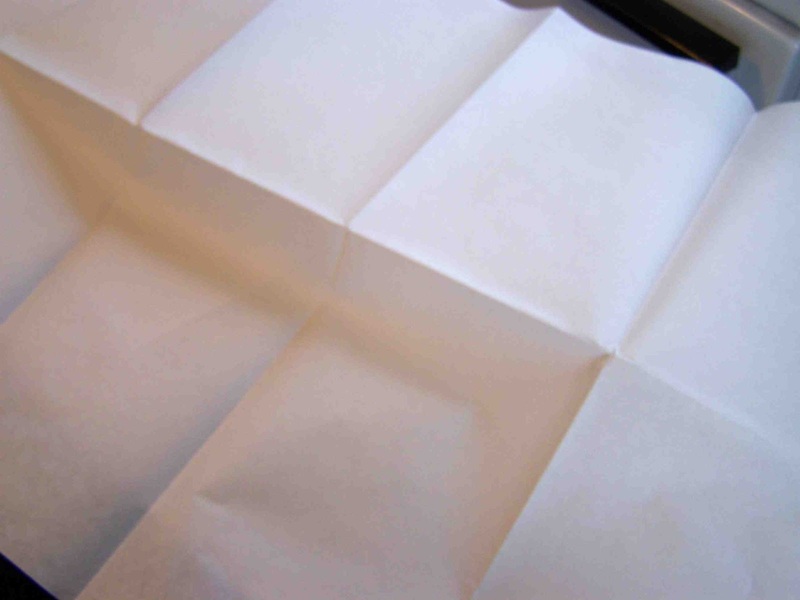 Next I folded the paper in half two more times length wise, dividing my paper into eight sections. 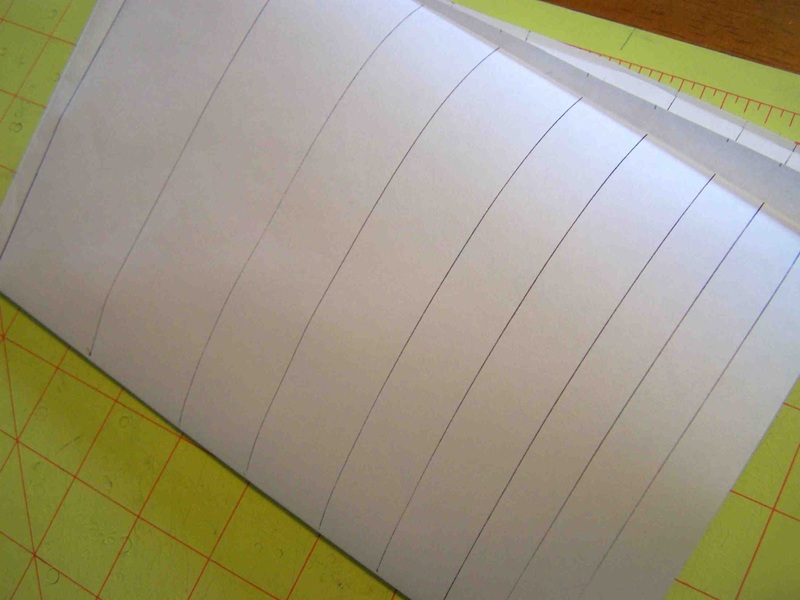 Folding the paper would allow me to create a repeating pattern; and eliminate a lot of cutting, as I could cut multiple sections (layers) at once. For the polka dotted print, I marked straight lines on one section of my freezer paper as a guide. 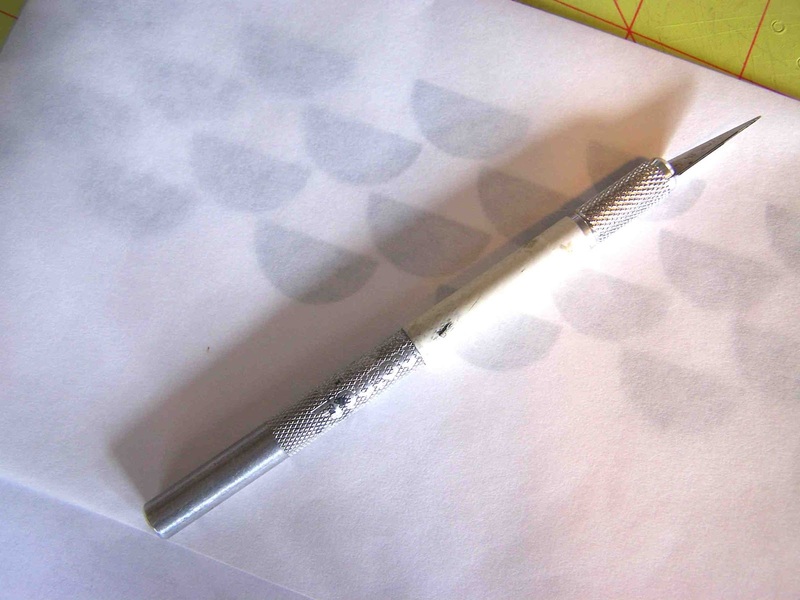 I then used my leather punch tool to cut circles of varying sizes in the paper. I tried to keep the dots evenly spaced. 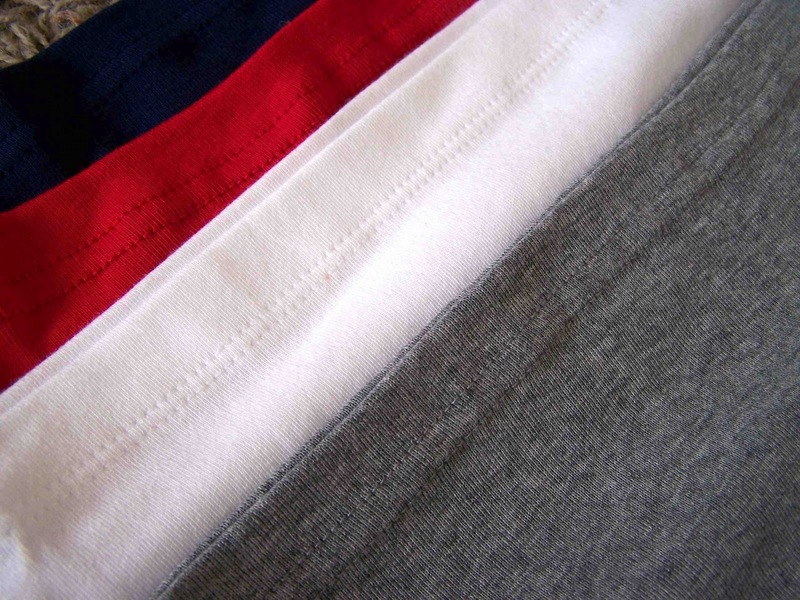 Another thing to keep in mind is the spacing near the fold. 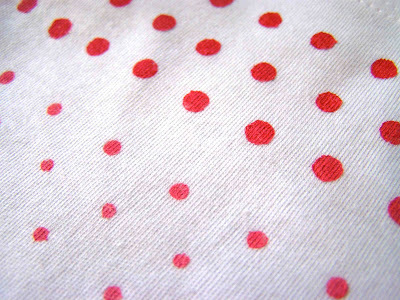 Your pattern is repeating, and everything that is near the fold will be twice as far away from the next image when the freezer paper is unfolded, so if you want your dots to be evenly spaced along the length of the finished template, you will want to make sure that the outside holes, or cuts, are half as far from the edge as they are from each other on the inside of the template. Does that make any sense at all? 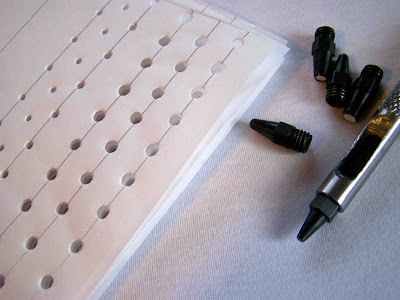 Once your template is finished, you can unfold the stencil, and adhere it to your fabric using your iron. For the semi-circle pattern I only folded the freezer paper in half once lengthwise. I have a template available for this pattern if you are interested. I then placed my printed template underneath the top layer of freezer paper, and traced the semi-circles with a pencil. 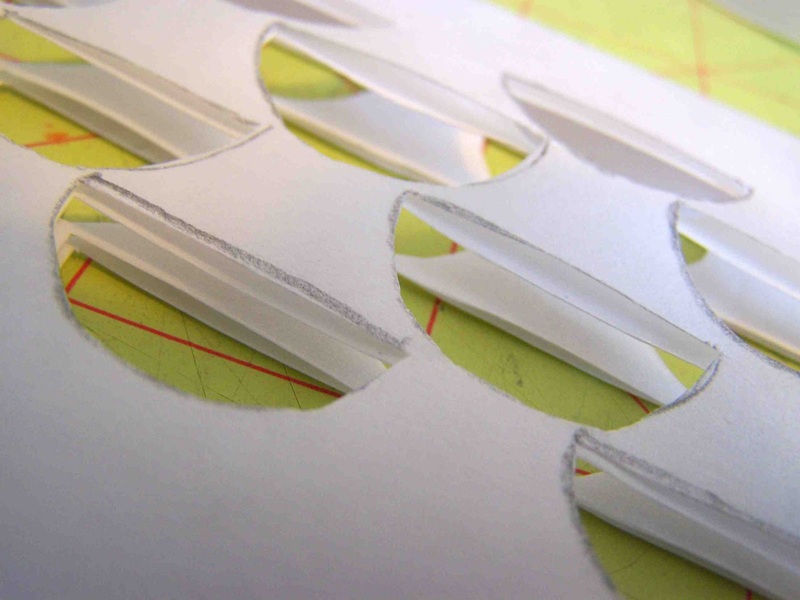 Using an x-acto knife I cut out each semi-circle. With the printed template you can see that on the folded edge of the template the semi-circles are bi-sected, resulting in a full semi-circle when the stencil is cut and unfolded. Then I fabric painted it up. . .
. . . and was left with some painted fabric of my very own. I can't wait to turn this fabric into a sweet little dress. 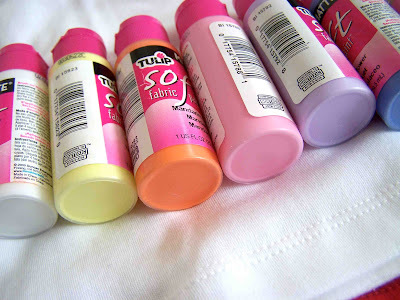 What a great idea for dressing up plain colors! They will be such cute little dresses.